A polychronic perception of time is where it is seen as more fluid and something not to worry about. Punctuality and structure is less important and deadlines are seen as more flexible and people tend to work on multiple tasks at once. See also monochronic. 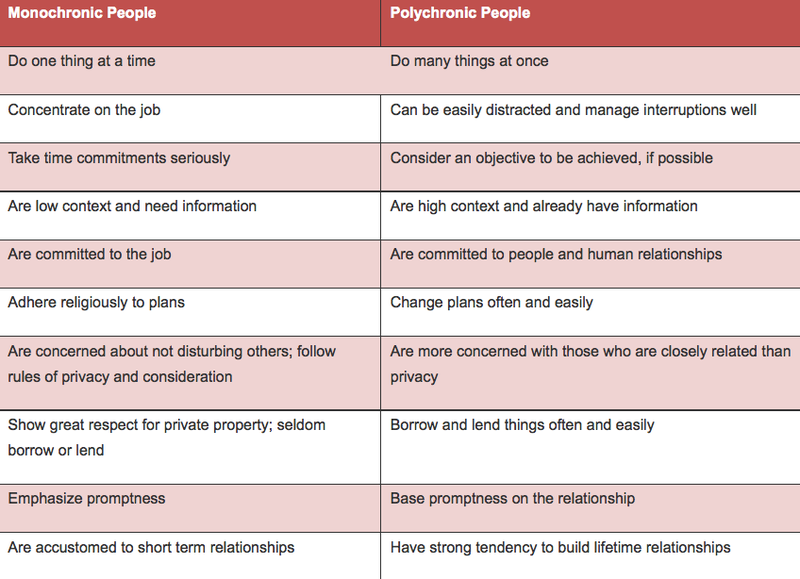 Here is table showing the main differences in the characteristics of people living in monochronic and polychronic cultures.